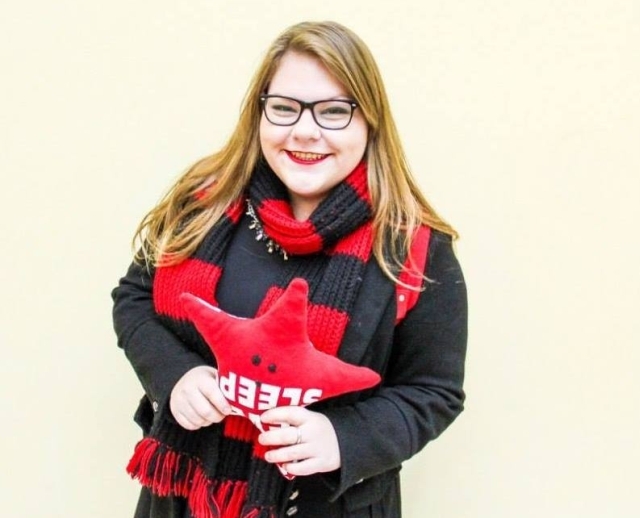 Who is the AEGEE member of the year 2016? Which antenna, which project was the best? The Golden Times asked more than 70 locally or Europeanly active members. In this edition: read what Andrei Dodița, Monika Mojak, Mateusz Muszalski, Deborah Pistori, Antonis Triantafyllakis and Katie Popova said. GT: What was your personal AEGEE highlight in 2016? 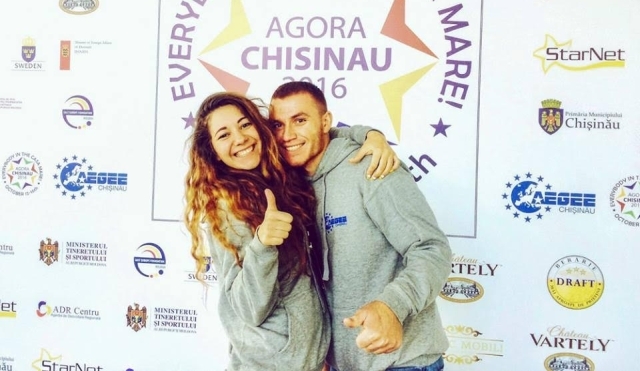 Andrei Dodița: I had a lot of highlights this year, but the most important one was to organize the autumn Agora, to bring it to Moldova for the first time and to organize the biggest AEGEE event that took place so far in our country. I declare with all my responsibility that you cannot compare the feeling after organizing such a big event with any other feelings. It is something special. GT: AEGEE-Europe had many memorable moments in 2016. Which one do you remember most vividly or was outstanding? Andrei: Indeed, this year was very eventful, with moments that I will never forget, moments that have changed my life. But the one that had the biggest impact on me was the closing plenary of the Autumn Agora. It was very emotional, yes! I was crying. I was so happy and proud of what we’ve done, I felt accomplished. GT: Who were for you the outstanding members in 2016? Andrei: I would like to mention three. Ana Gancearuc, the curliest girl from the incoming desk, beside her activity as MedCom. Her input in the Agora organization was huge, I just can’t imagine how the Agora would have looked without her. Then, former Secretary General Svenja van der Tol and Katharina Jiménez Weese, these girls are the soul of AEGEE. GT: Which were for you the outstanding antennae in 2016? Andrei: AEGEE-Chisinau and AEGEE-Bergamo definitely, I guess you know why. Also AEGEE-Istanbul, I just take my hat off in front of them, they deserve all our considerations and AEGEE-Cluj-Napoca, for me the most active and amazing local ever. GT: What was for you the outstanding European project, Working Group or Interest Group in 2016? Andrei: The European Citizens’ Initiative “More than Education”, which is stuck now, but I am sure that with a bit of determination and more promotion we will reach the goal and this may be the beginning of major changes in Europe. It is our duty to prepare the ground for future generations to be educated in a way that we did not have. GT: What do you foresee as a highlight or big topic in AEGEE in 2017? Andrei: “More than Education” must become top priority for 2017. And another topic will also be very important, which will be debated at EPM Zagreb: “Europe under Siege – Populism and Anti-European Agitation”. AEGEE must take a clear position towards media manipulation, blackmail, pressure, selfishness and manipulation of decision-making processes by political forces from outside the EU. GT: What are your personal AEGEE plans for 2017? Andrei: To get involved more on the European level and to help the network with everything I can, with my time and ideas. I also think to apply for a European body. GT: How and where will you spend New Year’s night? Andrei: With my family, my AEGEE Family. We are looking now for a place, where we can make much noise and not disturb anyone. We will have a real New Year’s AEGEE Party – with Secret Santa and a bunch of clementines and Moldavian wine. Monika Mojak: Being elected into the Juridical Commission during Agora Bergamo. It was a great experience and an unforgettable moment for me. Becoming the president seemed to be really challenging, but it gave me lot of enthusiasm and motivation to do my best and don’t let people down. Monika: This year was full of highlights. But I would say that the AEGEE Day turned out to be really outstanding. The opening ceremony of Agora Bergamo was a masterpiece and the discussion about the Schultze Method during Agora Chisinau brought a lot of emotions to many of us. Monika: Damien Latacz, Anna Gancearuc, Lisette Kunst and Niels Perriens from the Mediation Commission. The MedCom is this kind of body, which maybe is not very visible, but working there demands a lot of heart and commitment. Damien, Anna, Lisette and Niels were highly professional and 100% dedicated to their job. They did a lot of good things for the network and helped many people. I am full of respect for them. Monika: AEGEE-Bergamo and AEGEE- Chisinau organized two awesome Agoras and AEGEE- Cagliari was super active this year. Monika: The Summer University, AEGEE Election Observation project and the Civic Education Working Group are my top three. Monika: The EPM Zagreb with the “Europe under Siege – Populism and Anti-European Agitation”. It is a very important topic nowadays and I am glad that AEGEE will draw our attention to it as the current voices in Europe are far away from ideas we all believe in. I am sure the European Citizens’ Initiative “More than education” will be successful and I am very much looking forward to Agora Catania. I fell in love with Sicily this year and I can’t wait to come back there again. Monika: I want to dedicate myself to the Juridical Commission. I have a lot of ideas for further improvements, which I would like to put into practice. Also the idea of the JC Summer University is in the spotlight and I would be more than happy if it took off. Honestly, I don’t like making big plans, as life is so unpredictable. Let’s see, what the next year will bring to me. Mateusz Muszalski: Finishing my term in the Audit Commission, and definitely two of my close friends joining the CD. Mateusz: The elections at Agora Bergamo and the discussion about the voting system during Agora Chisinau. Mateusz: I appreciate the hard and professional work of the Network Commissioners. Mateusz: Agora Bergamo and the Civic Education Working Group. Mateusz: I am curious about the implementation of the new Action Agenda. That’s why I expect that EPM Zagreb and the second part of the year will be really interesting! Mateusz: I am not active in AEGEE anymore. Nevertheless I am always ready to take some new challenges. Mateusz: I don’t know where yet, but for sure with my friends. Deborah Pistori: Honestly, I cannot recall one in particular, because being part of the Audit Commission was already a great achievement for me. This experience taught me a lot and it allowed me to grow. We had some difficult times, but we managed to solve everything and accomplish our plans. 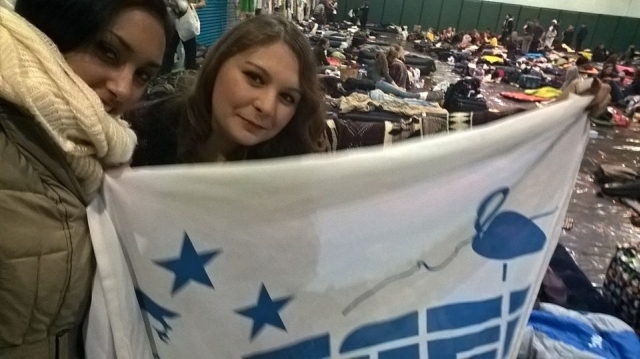 Being able to help all those people in need and cooperate with other great AEGEEans was the best part of it. Deborah: Undoubtedly EPM Leiden. Mostly because it put a real focus on a topic that was not that known or discussed in detail before. Migration has become an issue for the whole European Community in the past recent years and it still is. Knowing what we are dealing with is what makes us better European citizens and it allows us to understand the aims of the international politics on that matter. We might agree or not with them but at least we have a little bit more of knowledge on the situation to make up our minds objectively. I believe that AEGEE should try to focus more on European issues because, as it often happens, news that are spread in each and every one of our nations are sometimes totally different to one another and often distorted or misleading according to each country’s view. To be the best European active citizens we can, we should try to discuss more these kind of topics, hearing each other’s opinion and building our own with the information we have. Only through fruitful and meaningful discussions we can really open our minds and shape our futures. Deborah: This year I had the chance to work with really outstanding people but I have to mention one person in particular. Lisa Gregis, our former Netcom, did an amazing job. She restored the harmony and cooperation in the Rainbow after a very difficult year. I will always be grateful to her for that, I could finally see and feel all the love of the first years I was in AEGEE and that I really missed. I would also like to thank Ander, Zvonimir and Luca for the great cooperation we had this year. Without them I couldn’t have accomplished anything and that’s the beauty and challenge of team work. Deborah: AEGEE-Catania and AEGEE-Cagliari. AEGEE-Catania because it is always on top, full of surprises and great people. This year they even decided to organize an Agora and as a former organizer I can only congratulate them. It is the greatest experience one can have in AEGEE and a great honour. I am sure they will be great and I am very proud to see such a local putting its heart into it. AEGEE-Cagliari because despite me being not so active anymore I still love it with all my heart and even though people and boards change, they still manage to keep high standards and organize beautiful events. Deborah: The only memories I have about these are not that positive. I witnessed people “discussing” topics but never taking action or proposing ideas. I read posts and comments belittling people who didn’t have the same ideas or whose answer was not liked. These are not the kind of discussions I want to join and if AEGEE taught me something, it was that we have to respect one another, take into account other people’s opinion and discuss with the maximum respect because every single person matters. I cannot tolerate anyone who thinks to be better than the others. This kind of behaviour only destroys unity and cooperation and results in nothing. Deborah: I hope that the new focus areas will bring new life and new points of discussion in AEGEE. I trust EPM Zagreb and the topic of Populism will have a relevant spot. Deborah: For now, I will focus on my graduation, which deserves a lot of attention now after being put aside for quite some time. After that who knows what will happen… maybe I will retire… or maybe not! Deborah: I have no idea… I am quite the late planner when it comes to this. I just wished I could spend it with my favourite AEGEE people, but this being not possible I will have to find something else. Antonis Triantafyllakis: There are a lot to choose from, as this has been a year full of AEGEE experiences for me. If I have to choose one, it will probably be getting elected Speaker of the AEGEE-Academy, as this signifies narrowing down to what I really what to do in my life. Most of the other experiences I had in AEGEE are connected to this one. 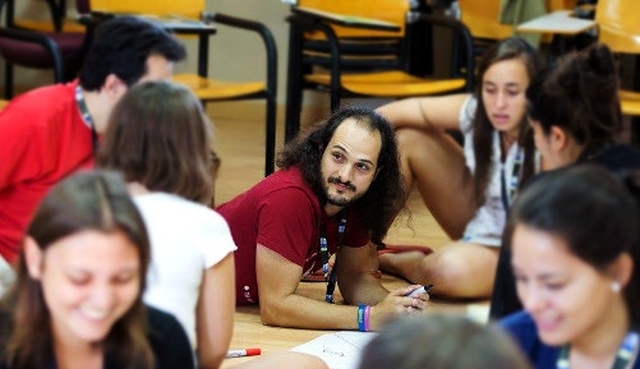 Antonis: There were indeed too many and it’s really difficult to choose one… I would choose the Planning Meeting in Leon, because of its significance for the future of AEGEE. This is where the new focus areas of our Strategic Plan for 2017-2020 were drafted and I am happy that they were a direct result of the real interests of our members, as this ensures that they are a true reflection of the priorities of our network and the AEGEEans will be happily active in those areas. GT: Who was for you the outstanding member in 2016? Antonis: Maria Ballesteros Melero. Pair her impossible-to-not-love personality with her contributions to the network this year and you have a clear winner for me, of whom I am sure you’ll be hearing more and more in 2017! Antonis: AEGEE-Cluj-Napoca. 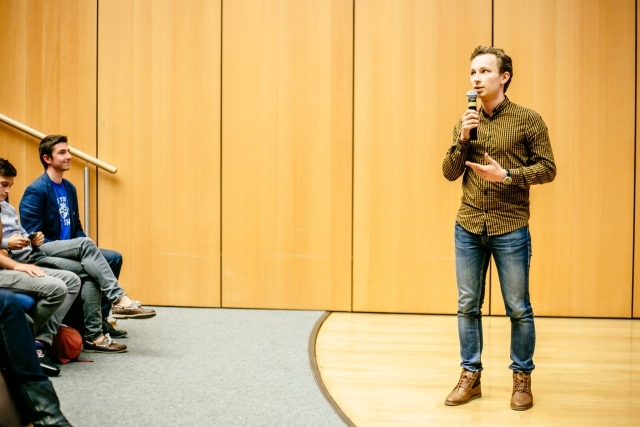 They managed to host both the “Borderless Europe” conference, for which they received the Franck Biancheri award, and this year’s TNT of the AEGEE-Academy, with a very successful SU in between. For me they are a very good example of how a local can be very active in the European dimension of AEGEE, while keeping its ties to its local character. Lots of love to Romania! Antonis: Again, too many to be able to pick one. But I would say the Migration Interest Group stands high in my preferences, because of the enormous amount of work the group has done and its relevance to one of the most important human rights issues of our time. I am happy to see AEGEE working on making a difference to the world. We have always been doing so, but it is important to do this consciously. Antonis: Hopefully, Equal Rights, as it has received the highest number of votes as a focus area in our new Strategic Plan, which means AEGEEans really care and will take more and more action on the topic. Antonis: My term as Speaker of the AEGEE Academy will be going on till spring, so there is still a lot to do and I am only happy to keep working in my team. In general, I intend to keep being involved mostly in trainings, as, after trying myself in many different areas, this is the one I feel most comfortable and capable working in. I cannot thank AEGEE enough for the self-development opportunities it has offered me, so this is my way of giving back to the network. Antonis: For the first time in six years, I decided to spend it with my parents instead of with AEGEEans. AEGEE has been a loving family for me for years, but after spending 14 months of constantly traveling from place to place and from event to event, I need to take a step back and reflect on what I have learned. I decided to take this opportunity to relax a bit, so I can have a better impact on myself and those around me in 2017. 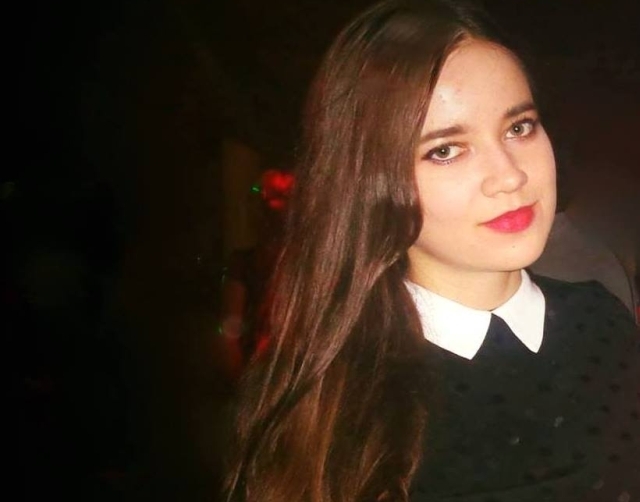 Katie Popova: This year was full of AEGEE events for me, overwhelming and challenging. I would say that the highlights were my FR position in the board, inventing and coordinating the Soft Skills School and of course coordinating the NWM “Deal with it!” in Moscow. Katie: Coordinating the NWM of course! It was a great challenge for me. And it was kind of difficult because you need to keep in mind a lot of things and work with three parties: organizers, participants as well as trainers, CD and Netcom. However, I think we have done an amazing and stupendous work especially when we may see some of the outcomes now. Katie: Ksenia Lupanova. She is the perfect example of how not to be afraid of anything, how to dedicate yourself to AEGEE, to encourage others to be more active and just how to be unstoppable! Katie: I would name the Youth Mobility Working Group. These guys actually do a bunch of things and addressed efficiently the visa questions. And I am happy to see that these are not only words, but also actions. Katie: Equal Rights in the wide perspective – and as one of the including parts in it visa issues and problems of Eastern countries. Katie: Spending precious moments with my parents somewhere on the beach near the ocean!